TheArmenianKitchen.com : Can our lamb burgers stand the heat of battle? Last summer, we cooked up a plan to teach Americans a thing or two about lamb but wound up with egg on our face instead. My bad, as the kids say. 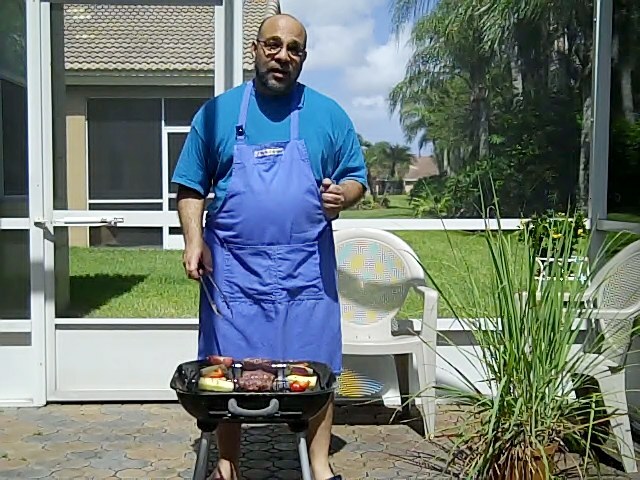 I waited until the last minute to make a video entry for the American Lamb Board's annual grilling contest, and we got rained out. This year, the calendar and the weather both cooperated. We're officially entered -- and our fingers will remain crossed until the winner is announced July 15. We're particularly excited because this year's challenge is to make the "ultimate lamb burger." That would be luleh kebab, right? I mean, seriously! We sure couldn't think of anything better, so we stuck with a very basic recipe for Armenian ground lamb rolled into the traditional sausage-without-a-casing shape. I have to say: It tasted pretty good to us! Check out our entry video and let us know what you think. Also chop 1 medium onion and one bunch parsley and set aside. Add the seasonings to the lamb and mix thoroughly. Of course, you can adjust the seasonings to taste: Make a small patty and cook it on the stove to test the mix before proceeding. Divide the meat into even portions and shape each by rolling between your hands. 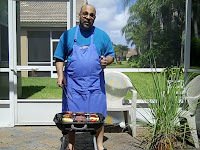 Cook on a hot grill (charcoal rather than gas, if you can), turning frequently with tongs. Serve well done. We like to grill veggies at the same time: tomato, squash, bell peppers. Serve on lavash or other flat bread. Place each burger on a piece of bread, add a sprinkle of the onions and parsley, and wrap as you would any other sandwich. You can also wrap in some of the veggies. Really, no other condiments are necessary. Unless you've really incinerated the meat, the lamb should be juicy enough to require no sauce. Must make this. Sounds sooooo good. Yum yum!! I made these as meatballs to be part of my eggplant-red lentil-lamb meatball concoction. The allspice REALY DID complement the meat! I'm not sure I know how coriander tastes, so I guess I'll have to try a bit more of that next time to make it stick out. Anyway, thanks so much for the advice. This summer we'll try the burgers!